A few days ago, Johan De Nysschen shook the auto enthusiast cage a bit, when he said that the ATS-V would basically crush all of its German competitors. He mentioned all of the German competitors, but we all knew he meant the BMW M3 and M4. 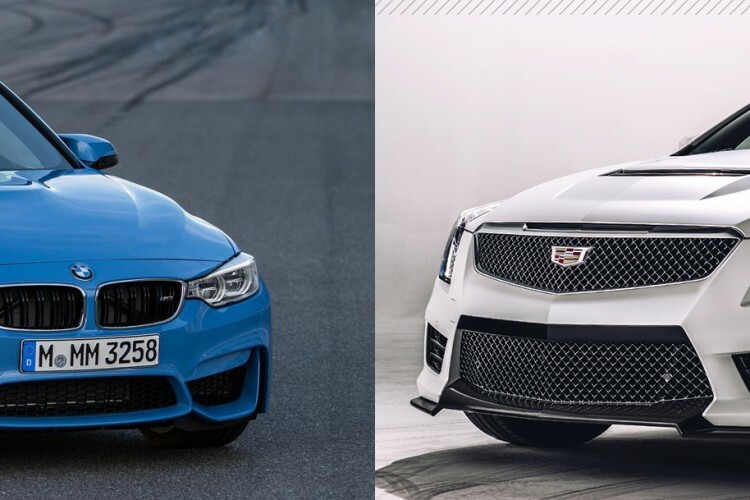 Cadillac has never made it a secret, that the ATS and ATS-V would be targeting BMW and its famous 3 Series and M3. So when he made those claims, we recently discussed how his statements may be a bit premature. Well in a recent test of the ATS-V, Motor Trend’s Carlos Lago had a similar sentiment. In the video review of the ATS-V at Circuit of the Americas racetrack, he noted that while on the big straight, pushing the car to almost triple-digit speeds, he almost felt bored. He felt more obligated to look out of the window and admire the scenery than to stay engaged with the car. He does praise the chassis though and magnetic shocks. He refrains from saying which one is the better car until a head-to-head comparo. So is the ATS-V a not-so exciting car? Without driving it, I can confidently say that it’s a fine car. It’s fast, handles well and is most likely reasonable comfortable. Aside from the maddening CUE infotainment system, the ATS-V is probably an excellent everyday driver. But do you really buy a car with 464 hp and enough scoops, fins and nostrils to just be an everyday driver? No, you buy that kind of car to light your hair on fire every time you sit behind the wheel. And, even at wide open throttle, the ATS-V just didn’t seem to do that. The M3 is also a great everyday car. It’s reasonably comfortable, has seating for 5 (or 4 in the M4), is fast and handles well. But when you want to hit the race track, or your favorite bit of twisty road, the M3 comes alive and turns into a canyon carving monster. The same Motor Trend editor, Lago, has a review of the M3 and M4 as well, and never came away with impressions of boredom. Obviously, without driving the two back to back, I can’t proclaim one to be absolutely better than the other. We will have a chance to drive the ATS-V in the upcoming weeks so we’ll report our findings. Next post Car Stereotypes – Are they warranted?